It seems to be getting more and more difficult to buy a carrot, with supermarkets in particular insisting that you buy a huge bag. Why can’t we be like France and just have troughs of veg for us to pick what we need from? This is a suitable end for almost a whole bag of carrots. Melt the butter until foaming, then add the chopped vegetables. Season with salt, pepper and sugar and add the crushed cumin. Cover with a butter paper and a tight fitting lid. Leave to sweat over a low heat for about 10 minutes. 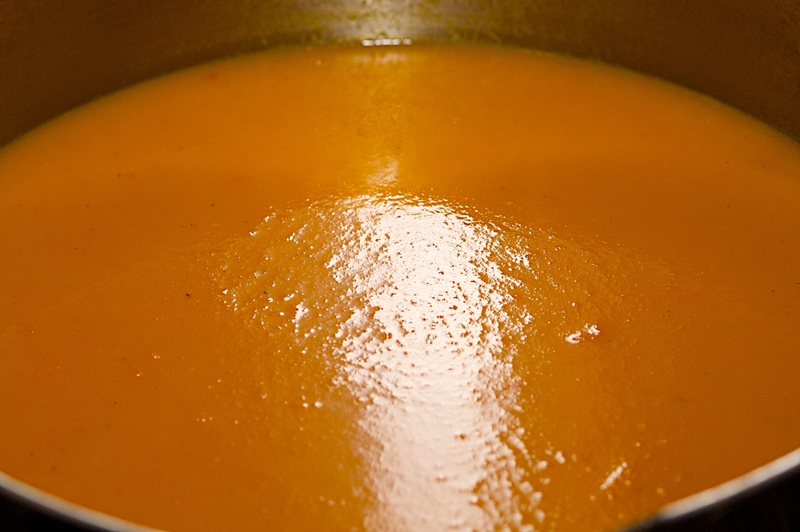 Remove the lid, add the stock and boil until the vegetables or soft – about 5 to 8 minutes, then purée the soup until smooth. Taste and adjust the seasoning. Serve in warm bowls with a swirl of crème fraîche or yoghurt if you like and some freshly chopped coriander. 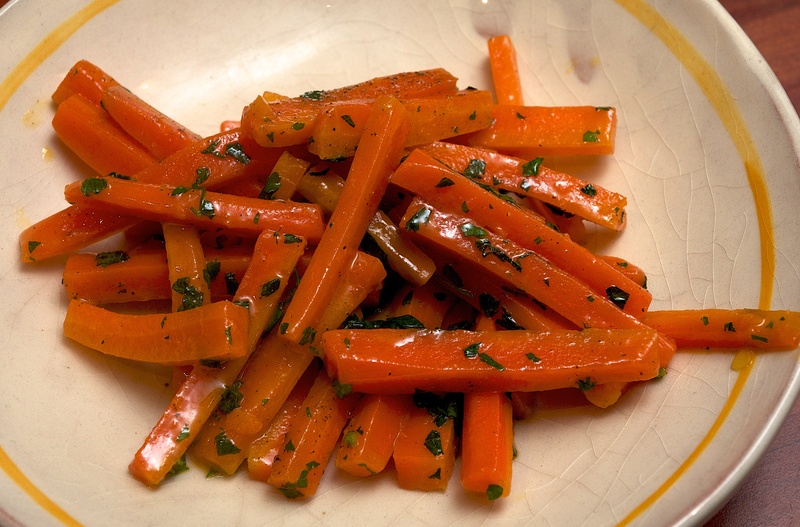 This is a classic French side dish which remarkably improves steamed carrots and we find impresses guests too despite being easy to cook. Peel the carrots and cut into batons. Put the butter, salt and sugar in a saucepan and heat gently. Stir in the carrots and add enough water to come halfway up. Increase the heat to medium and partially cover. Simmer until the carrots are tender and most of the water has evaporated. Turn down the heat and remove the lid. Reduce the remaining liquid to a glaze, stirring to ensure the carrots are evenly coated and don’t stick. Finely chop the mint and parsley – you need about a ¼ tsp of each. Season with pepper, stir in the herbs and serve. 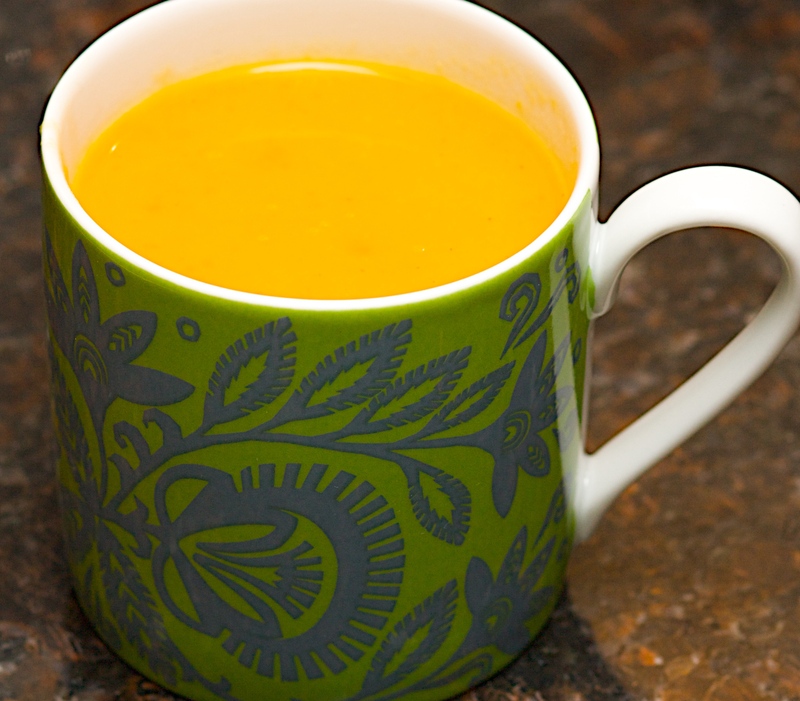 We actually make soup almost every week but rarely put them on our blog… not sure why but perhaps we’ll stick them up more often. Melt 2 tbsp butter in a big saucepan. Add a big sliced leek and cook for a few minutes until starting to soften. Add 800g of roughly chopped carrots, 2 tsp clear honey, a pinch of chilli flakes and a bay leaf and cook for another couple of minutes. Pour in 2.5 litres of vegetable stock, bring to the boil, and simmer for half an hour. Whizz the soup until smoothish and season.